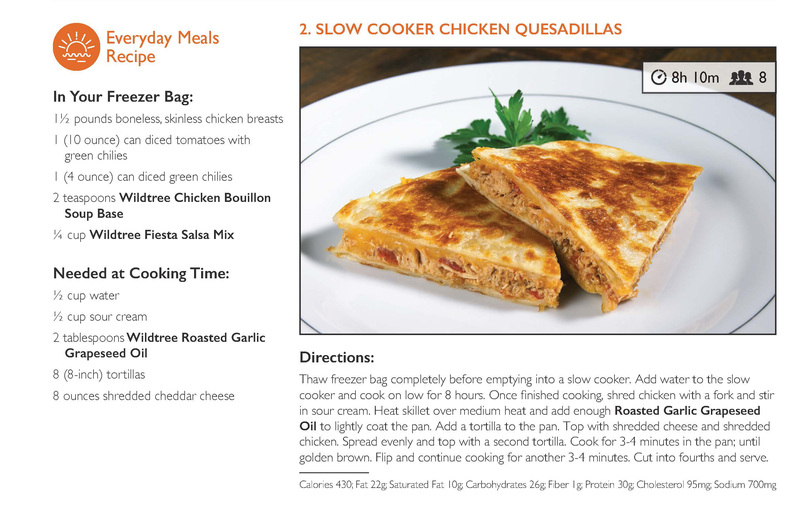 This recipe is from our everyday meals freezer meal workshop. Although the recipe calls for thawing the ingredients before cooking, I have found that that is not necessary. I pop the frozen ingredients right into my crockpot in the morning when I am wondering “what’s for dinner?” Put it on high for 30-60 minutes while getting ready for your day, then turn to low and it will be ready at dinner time. Enjoy! Method of Preparation: Add red bell pepper, chicken, cumin, diced tomatoes, and water to a slow cooker. Cover and cook on high for 3 hours or until chicken is tender; shred chicken. Add remaining ingredients to slow cooker and cook for another 30-40 minutes or until cream cheese is melted; stir to incorporate. 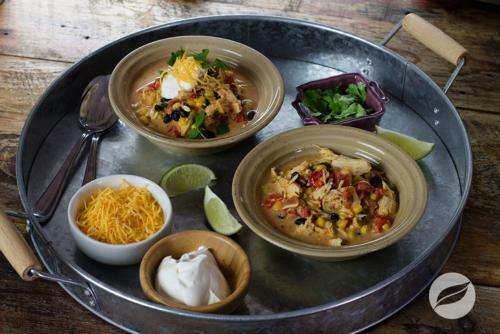 Serve with desired toppings.